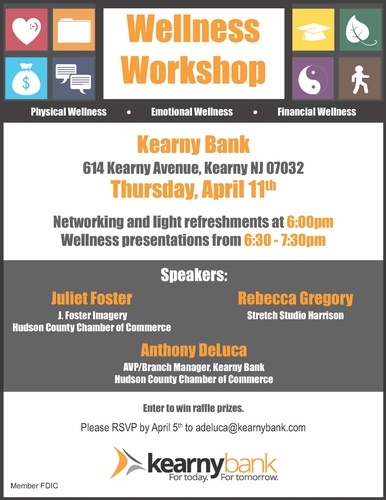 Kearny Bank’s Kearny Office is hosting a Networking & Wellness Event on Thursday, April 11 at 6pm. Networking with light refreshments will be followed by wellness presentations. Featured speakers are Juliet Foster of J. 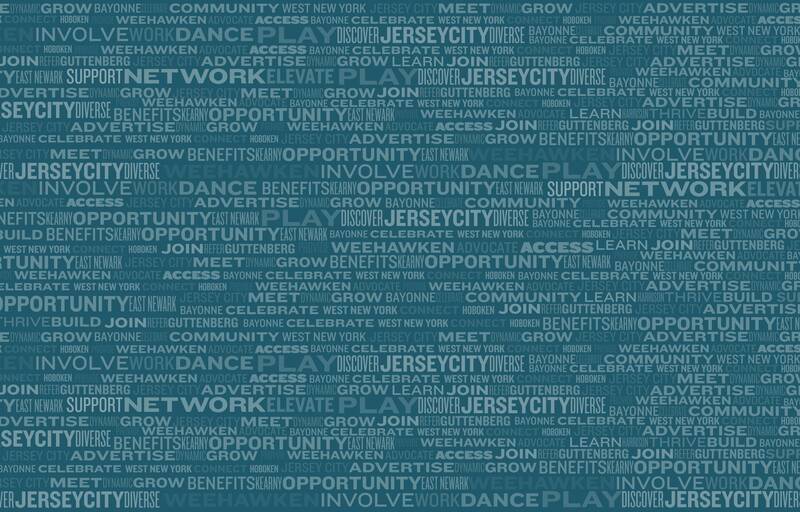 Foster Imagery, Rebecca Gregory of Stretch Studio Harrison, and Anthony DeLuca of Kearny Bank. 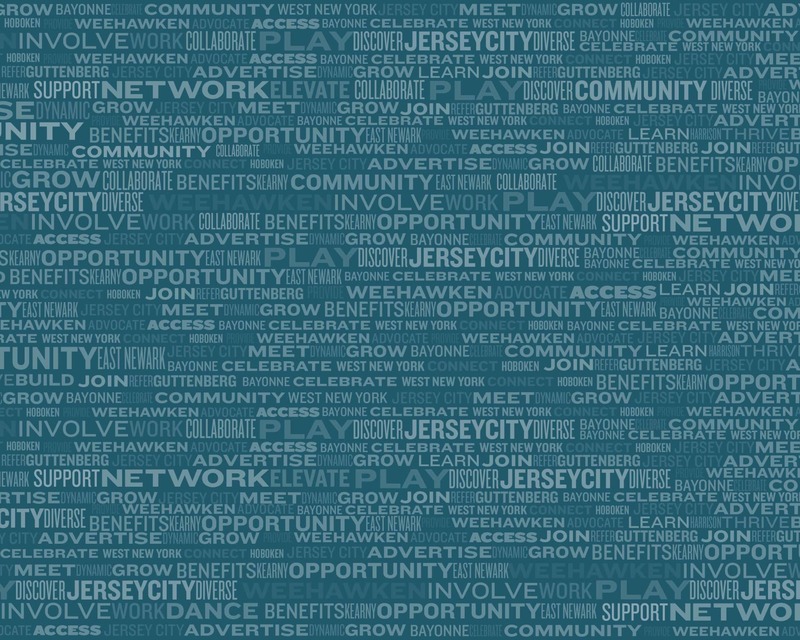 Topics include Physical, Emotional, and Financial wellness. Different techniques will be discussed & demonstrated to benefit your OVERALL wellness. Prizes will also be raffled at the conclusion of the event. Remember to bring plenty of business cards too!